A Complete Online Pest Tracking Program for Museums, Libraries, Archives, Historical Institutions and Societies and Galleries. ANNOUNCEMENT - Although it may sound like we are shooting ourselves in the foot - we have realized that CollectionPests is a very extensive program that far exceeds what is needed for a comprehensive integrated pest management program. We also understood that our original Zpest program was outdated and lacked some pieces needed for ipm. Please review both and choose the option that best suites your needs. Tools for importing and exporting your information based on date ranges, pest criteria, trap criteria and more. CollectionPests.com was created by Zak Software, a contributor to the groundbreaking work of the Integrated Pest Management Working Group . CollectionPests.com builds on Zak Software’s Zpest program, adding even more features and capabilities. Subscribe to CollectionPests.com for $30 per month. 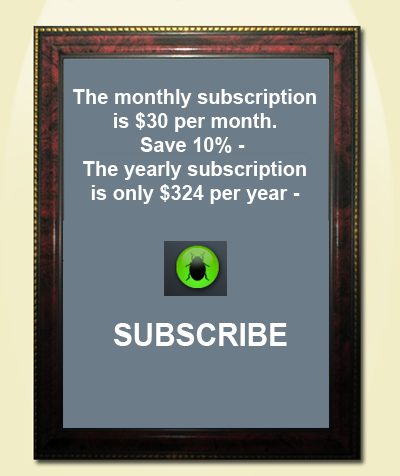 SAVE 10% with an annual subscription, $324 per year. Cloud computing includes - free updates. NEW!!! - The Collection Pests Reference App - Available for Android (iPhone/ iPad in the works) - use this qrCode or download at the Android Market CLICK ME! We have a list of the 28 most popular collection pests with images and information. The images are zoom enabled - see a book lice 3" wide!!! !